There are many moments that have changed the way people see the world around them. 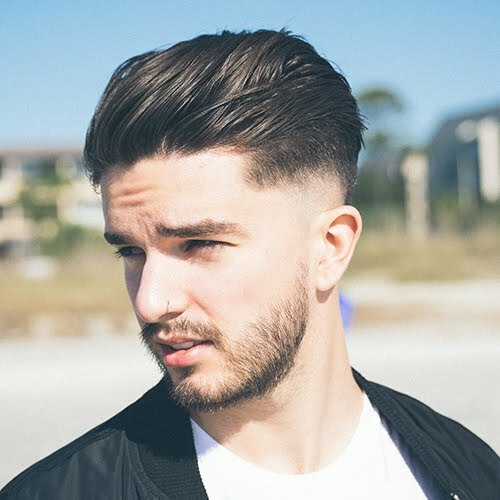 Photographers do the hard work of attempting to capture them on film as they happen. Whether they know it or not, they are singlehandedly changing how history is remembered. 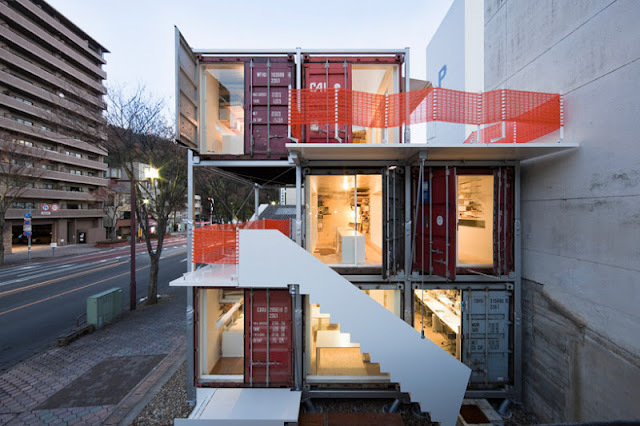 All of these photos capture something unique. 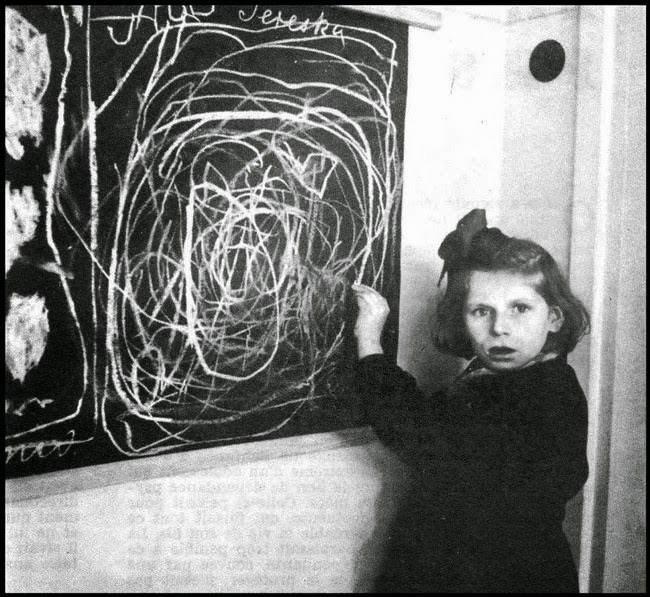 Some are inspiring, some are unsettling, but all are important documents of singular historical moments. 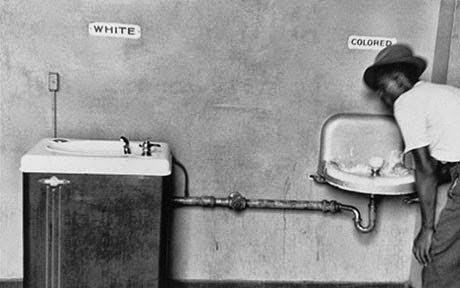 #1 Elliot Erwitt photographed public water fountains in North Carolina, demonstrating the issue of segregation in the American South. 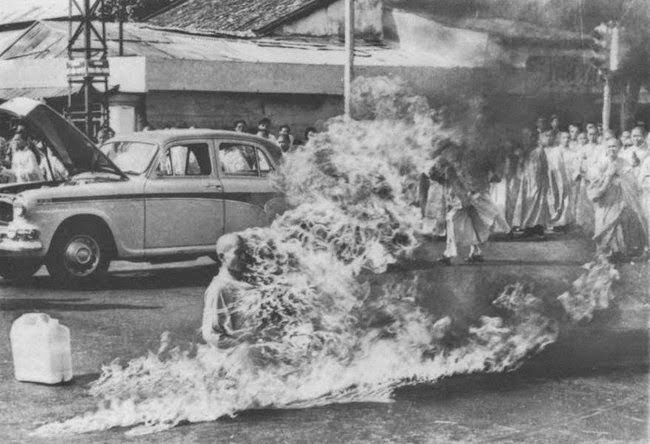 #2 Thích Quang Duc setting himself on fire to protest the Diem government in South Vietnam shocked the world in 1963. 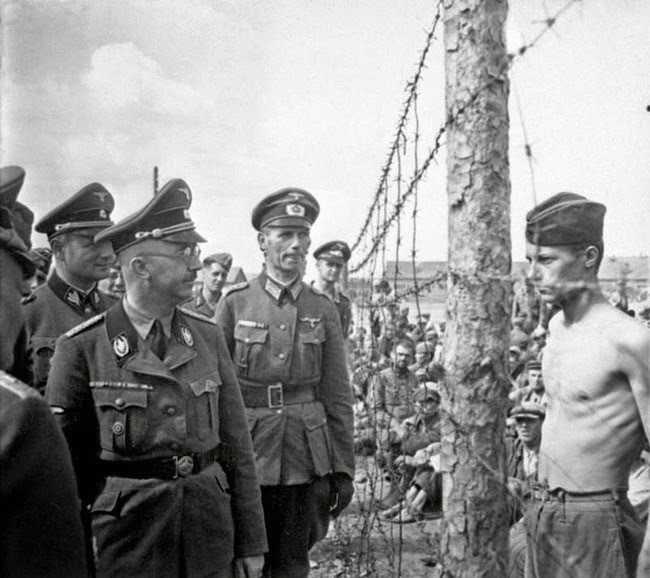 #3 Horace Greasley standing behind a wired fence, stoically facing Nazi commander Heinrich Himmler. #4 The Tiananmen Square protests took place in China in 1989. 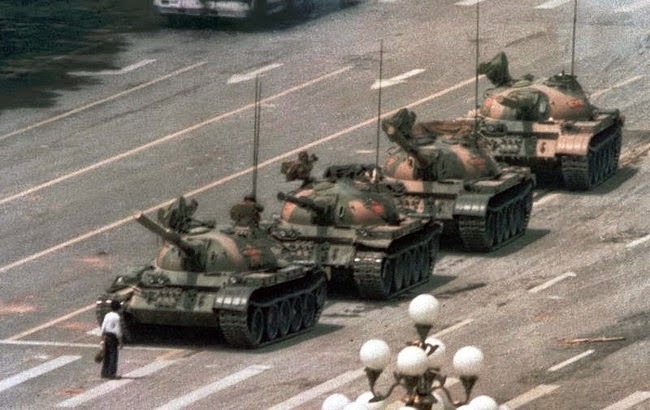 The protesters were fighting for democracy, and in the photo below, one man stood and faced the Chinese government's oppressive forces. 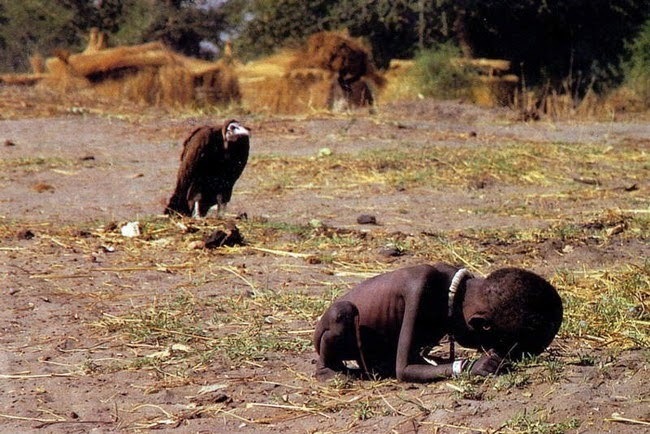 #6 In 1993, this photo of a young Sudanese girl being watched by a vulture brought the world's attention to hunger in Africa. 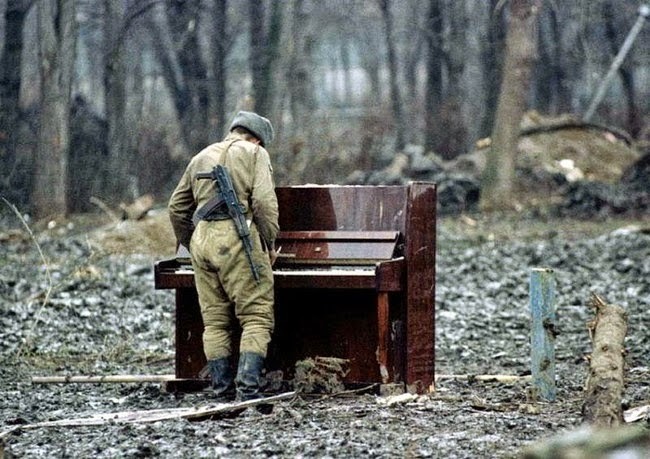 #7 This haunting photo, taken in Chechnya in 1994, is of a Russian soldier playing an abandoned piano. 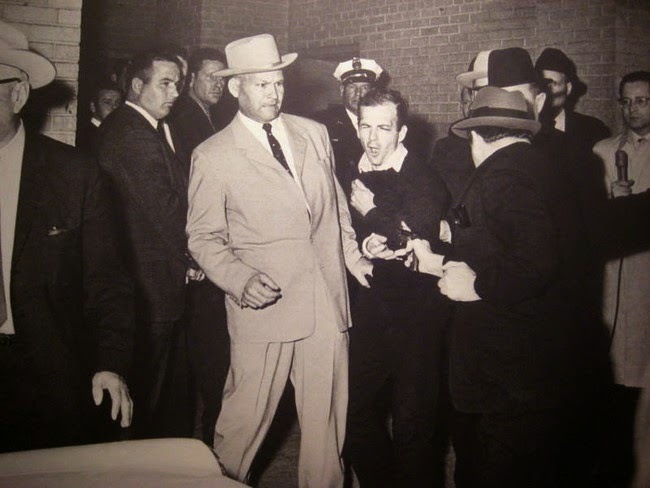 #8 This is the moment club owner Jack Ruby shot and killed President John F. Kennedy's assassin, Lee Harvey Oswald. 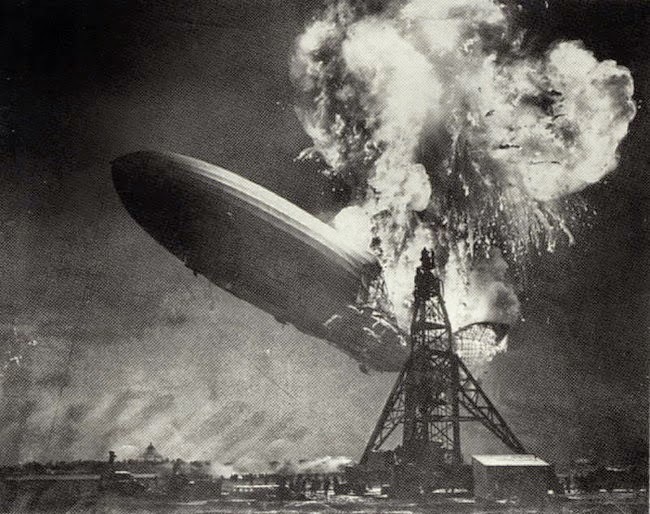 #9 On May 6, 1937, the Hindenburg caught fire in one of the most infamous disasters in history. #10 Haiti was hit hard by tropical storm Hannah in 2008. 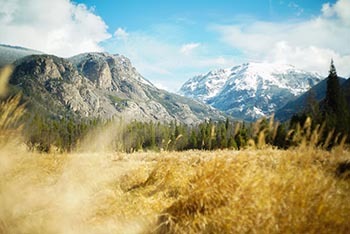 This photo captures a young boy salvaging a stroller in the aftermath of the storm.